This digital Menu Board is an off-the-shelf kit designed for ceiling-mounting three 46” to 50” displays in a in 3 x 1 landscape configuration. Two 2000mm poles securely support a 2700mm horizontal mounting rail with three VESA brackets capable of carrying displays up to 50kg each. 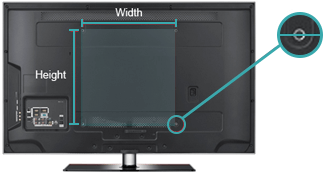 Displays can be tilted up to 20 degrees for the optimal viewing angle. Atdec modular menu board solutions can be configured to support any number of screens in landscape or portrait orientation. They are ideal for quick-service restaurants and other environments where displays have to be prominently positioned for critical information delivery. Rails and poles can be extended or cut to length to suit specific project requirements. ADMS-3x1T-270-200-C is part of the Atdec modular digital signage family. Learn more about infinite mounting possibilities for digital signage installations.